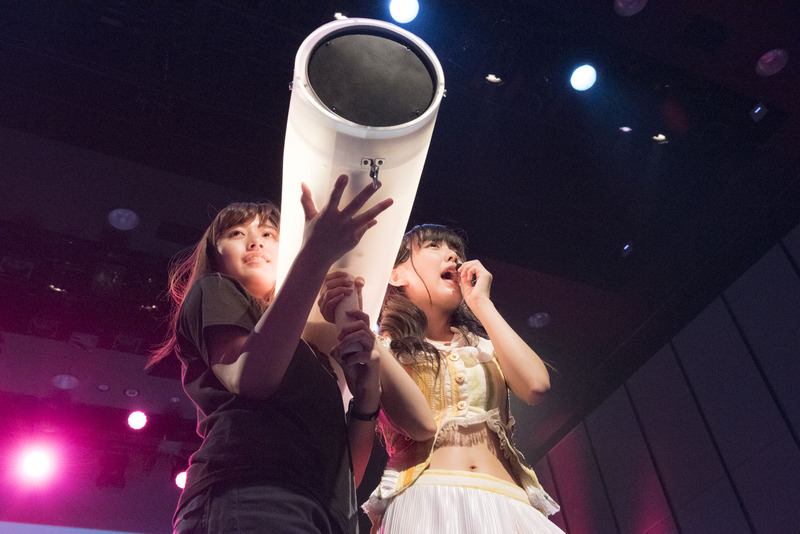 We worked as a stage director of Japanese idol “Nijicon (Niji no Conquistador)”. 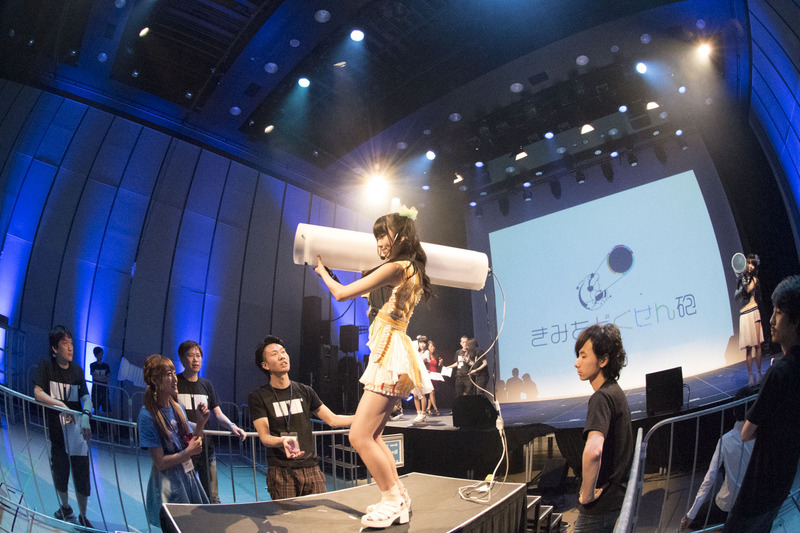 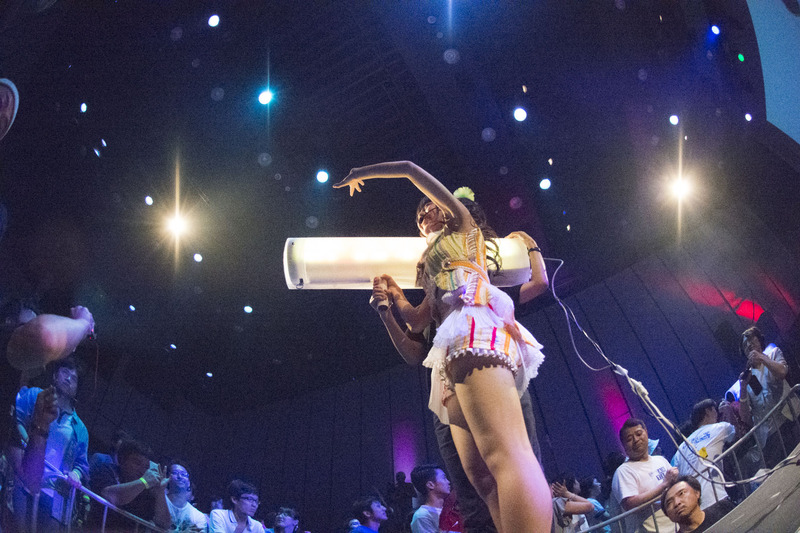 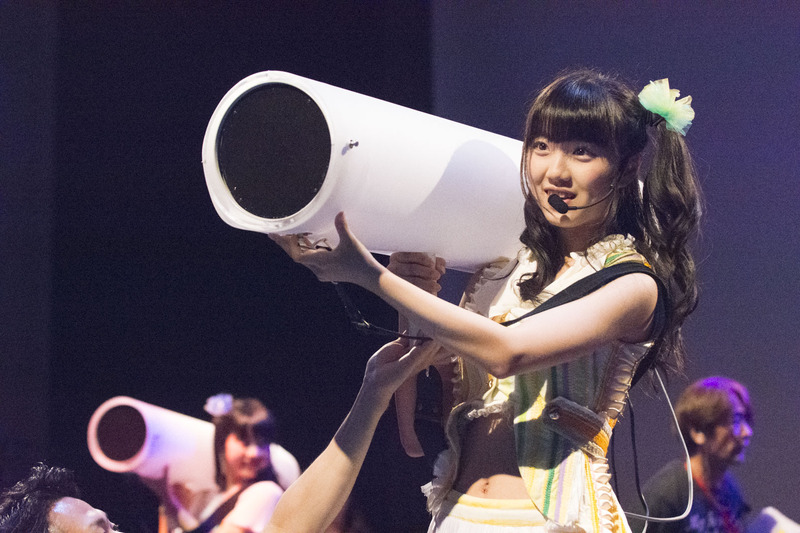 We made special device with a built-in directional speakers that named “KIMI WO DOKUSENHOU”. 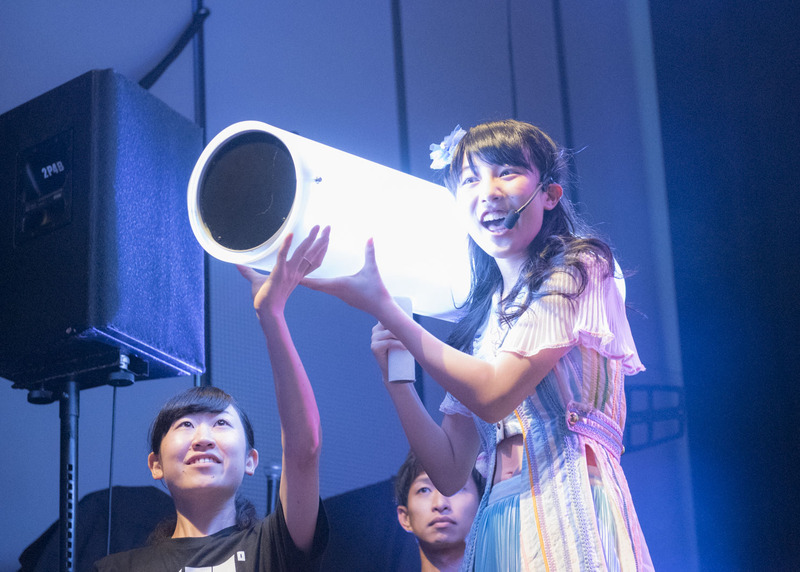 Using it device, a idol on stage can whisper to you.